Court Martial Crown V Marines A to C | Richard Griffiths & Co. The Richard Griffiths & Co Military Team were recently instructed in the high profile Court Martial Crown V Marines A to C. Heard at Bulford Court Martial Centre. The team successfully defended “Marine C” who was charged with murdering a Taliban insurgent together with his two co-accused. This was a case with unique and complex problems. The first case of its type since World War II. The “infamous” nature of the evidence attracted National Press attention. 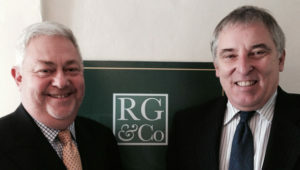 Bob Scott appeared as Junior Counsel led by Mr Tregilgas-Davey. Nigel Holt was the Litigator. Our depth of knowledge of the Military system proved essential in successfully representing our client.